Eliud Kipchoge came agonisingly close to shattering compatriot Dennis Kimetto’s world record during Sunday’s London Marathon, which he won in a new course record of 2 hours, three minutes and five seconds. Kipchoge’s time, the second-fastest in marathon history, was just eight seconds outside Kimetto’s 2:02:57 set on the flat and fast Berlin Marathon course in 2014. 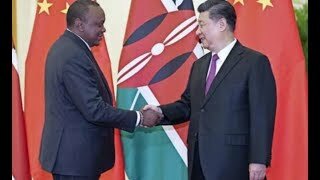 Athletics Kenya’s selectors will have a no-brainer in picking Kipchoge to reclaim the Olympics title won by the late Samuel Wanjiru at the 2008 Games in Beijing. 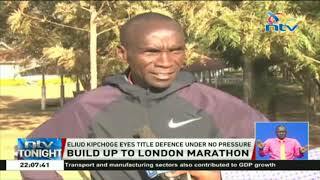 Fresh from winning the London Marathon in a course record, Eliud Kipchoge, said he prefers representing Kenya at the Rio Olympic Games in August instead of attempting to lower the world record at September’s Berlin Marathon. The London Marathon course record holder who came agonisingly close to shattering compatriot Dennis Kimetto’s world record during Sunday’s London Marathon, which he won in a new course record of 2 hours, three minutes and five seconds. The World Marathon Majors title holder also told Daily Nation Sport on Monday that he had no idea he was inside the world record schedule until the final 400m when he turned into the finish straight, and then it was too late to gobble up the eight-second deficit. 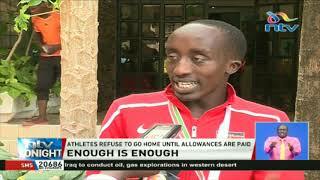 Uganda’s Stephen Kiprotich bagged the gold at the 2012 Olympics in London. “I will participate in the Rio Olympics if named to the team,” Kipchoge said from London. On the possibility of having broken the world record on Sunday, Kipchoge said he realised he could dip under 2:02:57 too late. And justifiably so, because with elite director Dave Bedford detailing the two pacemakers - Kipketer and Cosmas Lagat - to go through the halfway mark at 61:45, they did a lot better, clocking 61:24 at the 21-kilometre mark after crossing the iconic Tower Bridge. It was the fastest halfway split in history by three seconds. At the 30km split (1:27:13) Kipchoge and runner up Stanley Biwott were seven seconds inside world record pace. Kipchoge said he ran with the same Nike Streak 6, of course an improved version than that which almost cost him victory in last year’s Berlin Marathon with its in-soles flopping out. His shoe sponsors retrieved the Berlin shoe for further tests at their Beaverton workshop in Oregon, USA, where they conjured up Sunday’s winning shoe. Sunday’s was Kipchoge’s sixth marathon victory from seven races. “Success is a journey and always needs credible company for you to realise your destination,” he later posted, philosophically, on his Facebook page on Monday while thanking those who helped him behind-the-scenes. Biwott also joined the unique, sub-2:04 class after finishing second in 2:03:51. Jemima Sumgong won the women’s race in 2:22:58 after recovering from a nasty fall and hitting her head on the tarmac with compatriot Florence Kiplagat struggling with blisters to settle for third in 2:23:39 behind second-placed defending champion Tigist Tufa of Ethiopia (2:23:03). Olympic silver medallist Priscah Jeptoo finished eighth in 2:27:27 while World Marathon Majors champion Mary Keitany, who also fell alongside Somgong, struggled to ninth in 2:28:30. Last year, Tufa won in 2:23:22 as Keitany clocked 2:23:40.